Eneda Tarifa nació el 30 de Marzo de 1982 en la capital albanesa, Tirana, es cantante y presentadora de televisión. 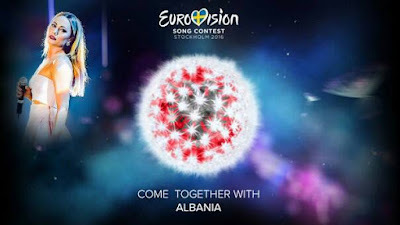 El 27 de Diciembre de 2015 se proclamó vencedora del 54 Festivali i Këngës albanés lo que la convirtió en la representante de Albania en el próximo festival de Eurovisión 2016. Debutó en la música en 1997 cuando tenía 15 años. Ha participado en numerosas ocasiones en el FIK y en otros festivales musicales de su país. Ganó el Top Fest 2010 con la canción Me veten. Tras su victoria en el Top Fest trabajó como presentadora de televisión en el programa Portokalli en el canal Top Channel. No ha publicado ningún álbum pero por el contrario, tiene en su carrera discográfica varios sencillos publicados. El último el que interpretará sobre el escenario de Eurovisión. Eneda Tarifa was born on March 30th of 19982 in the Albanian capital, Tirana, she is a singer and TV host. On December 27th of 2015 she won the 54 edition of Festivali i Këngës that it made that she became the representative of Albania in the forthcoming edition of Eurovision 2016. She debuted in the music industry on 1997 when she only was 15. She has participated lots of times in the FIK and other music contests in her own country. She won the contest Top Fest 2010 with the song Me veten. After her victory in the Top Fest, she worked as TV host in the TV program Portokalli on Top Channel. She still has not published any album but however, she has in her musical career several singles published. The last one the single that she will perform on the Eurovision stage with.